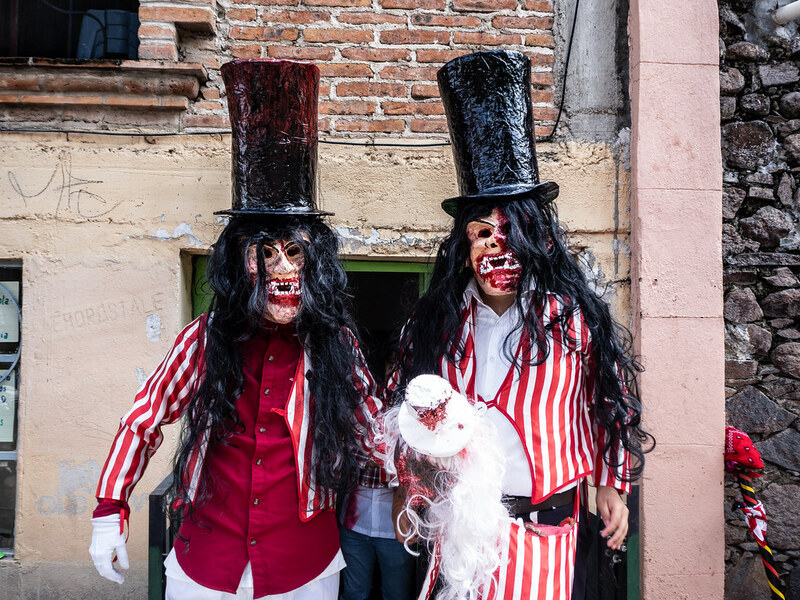 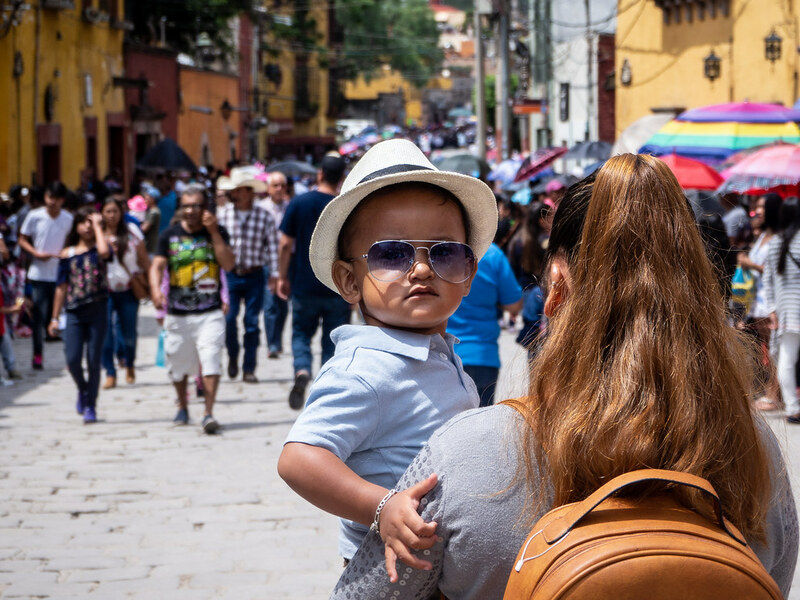 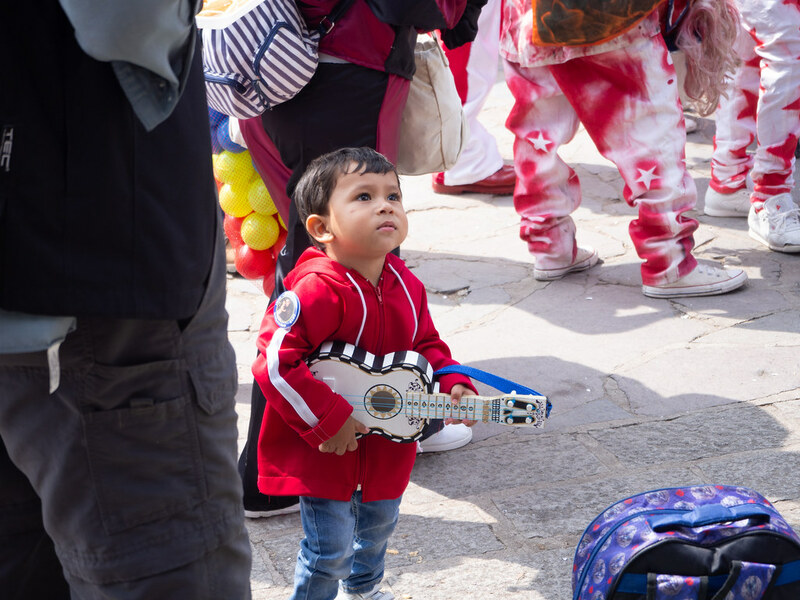 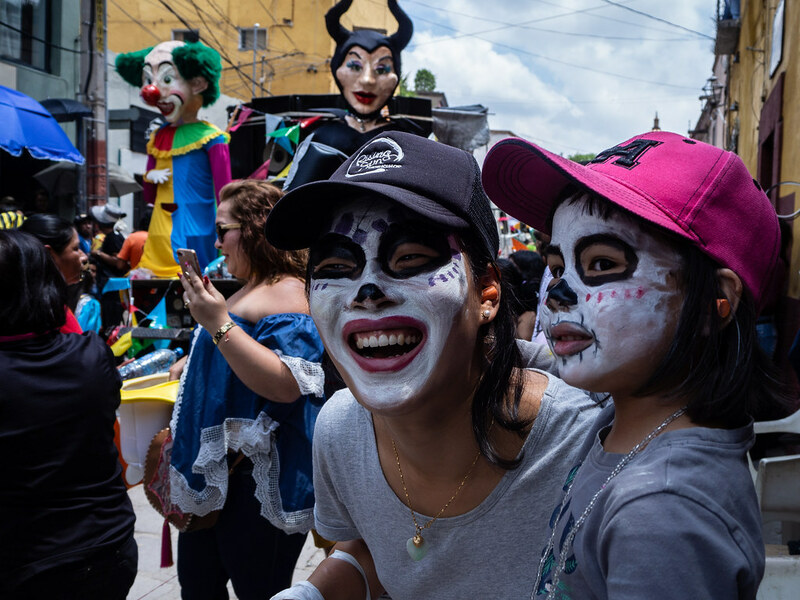 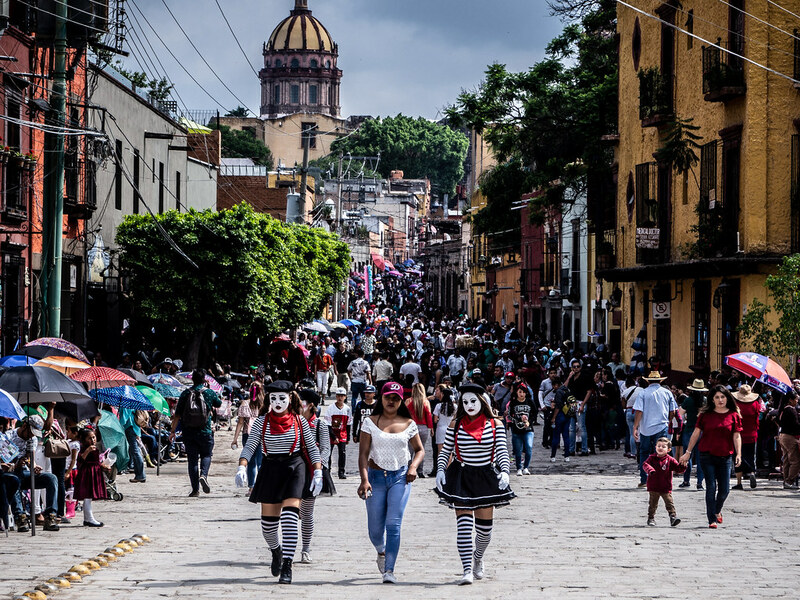 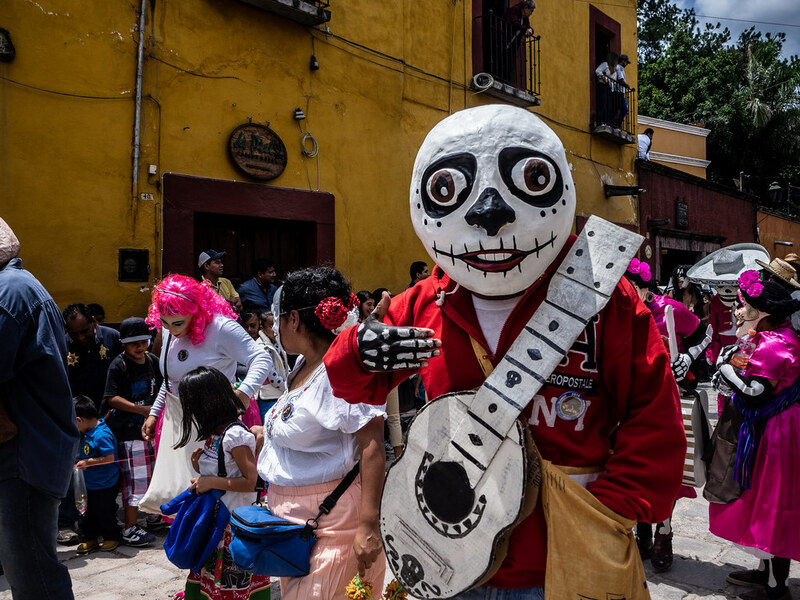 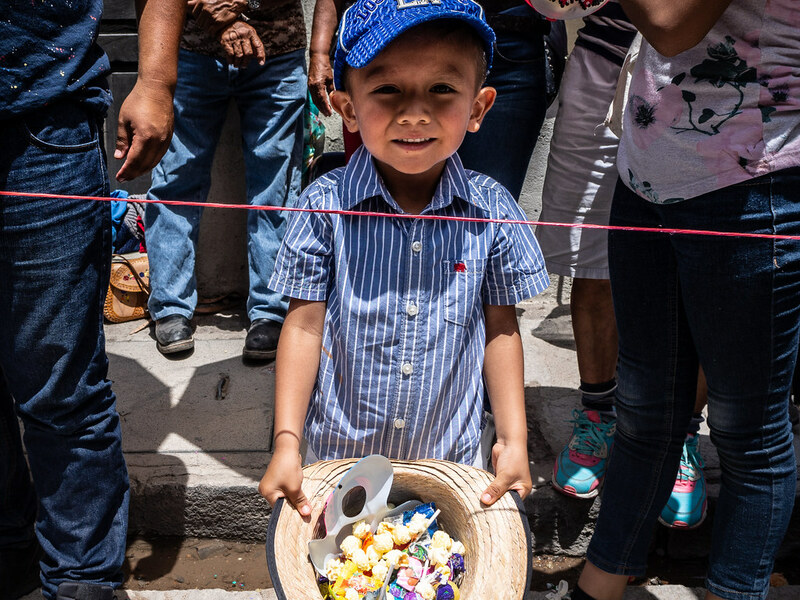 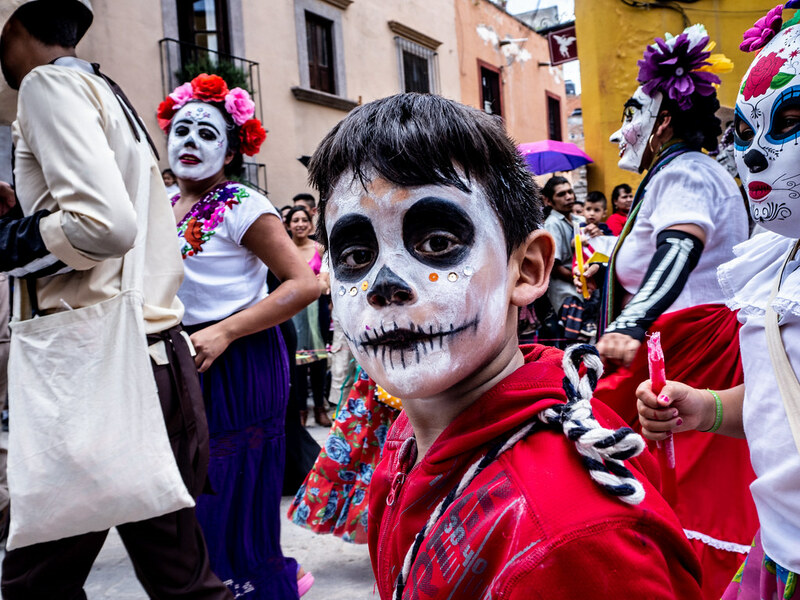 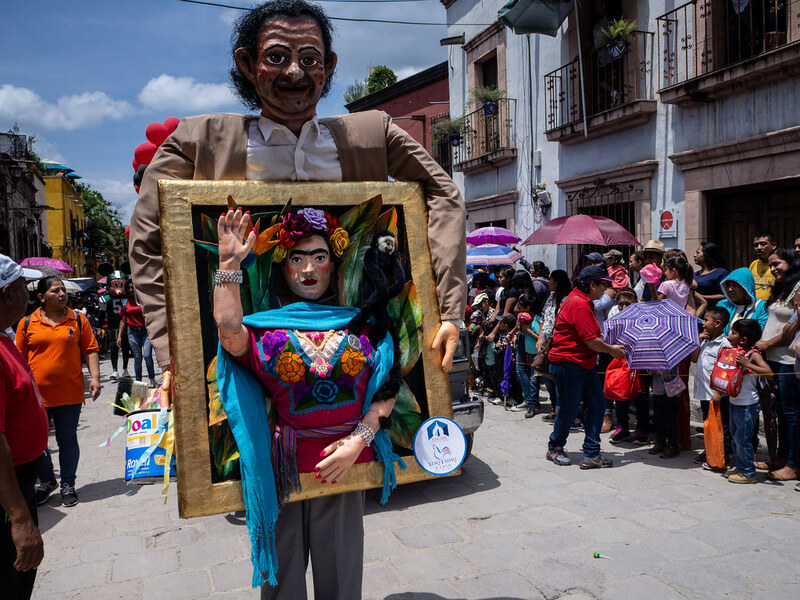 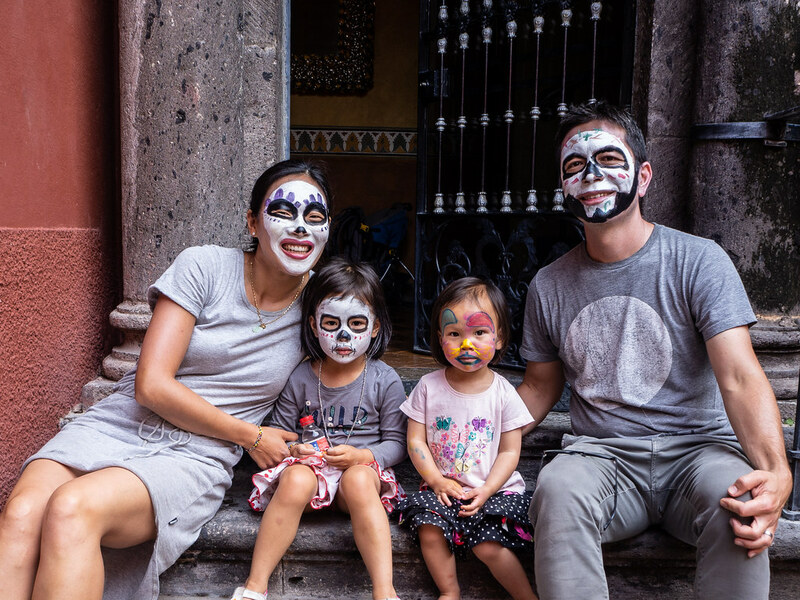 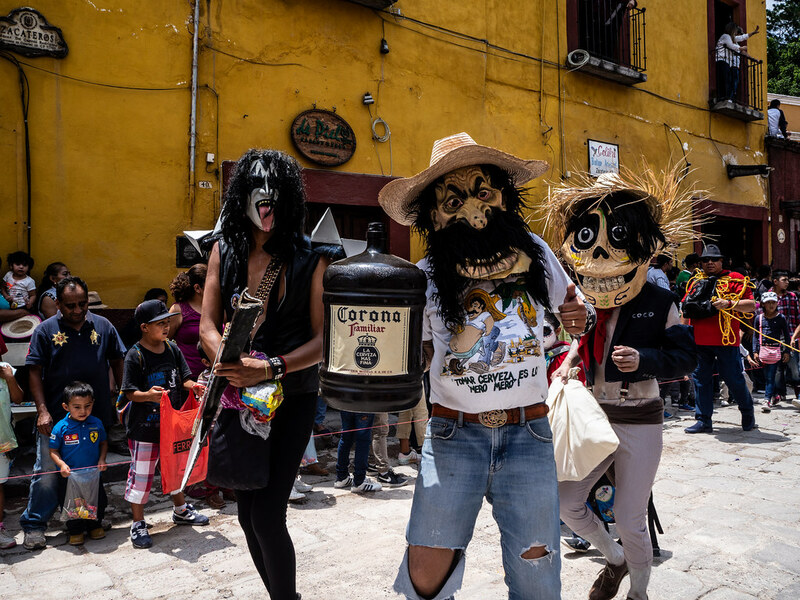 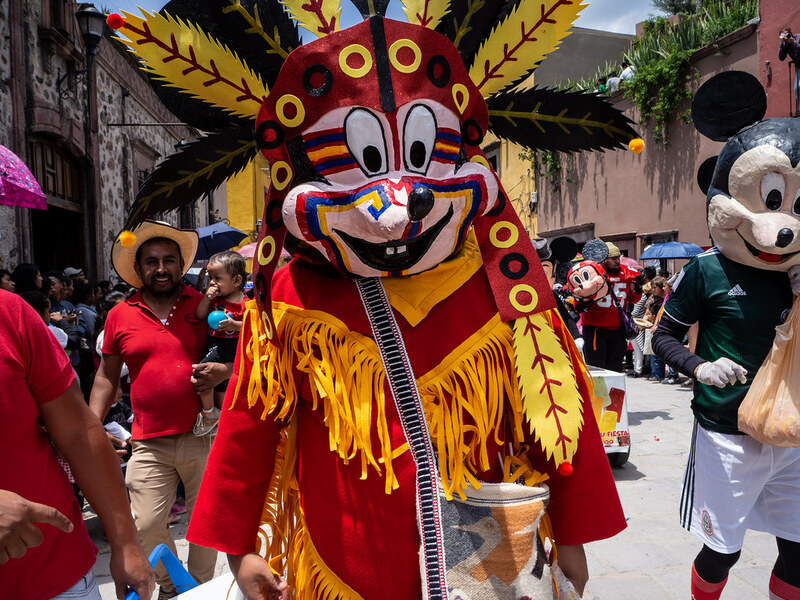 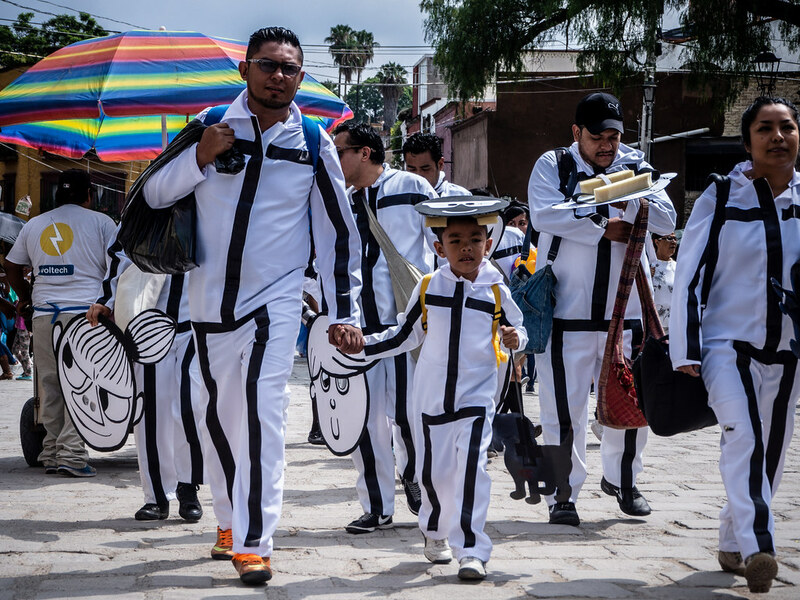 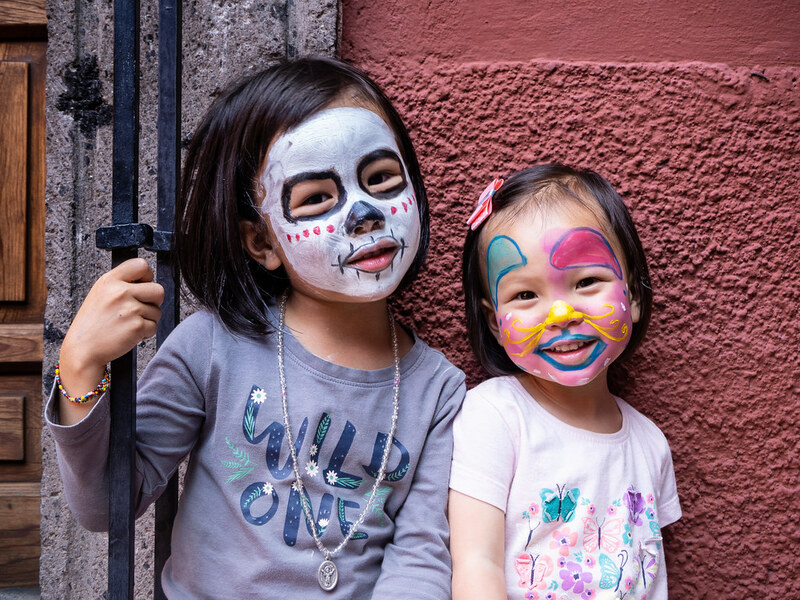 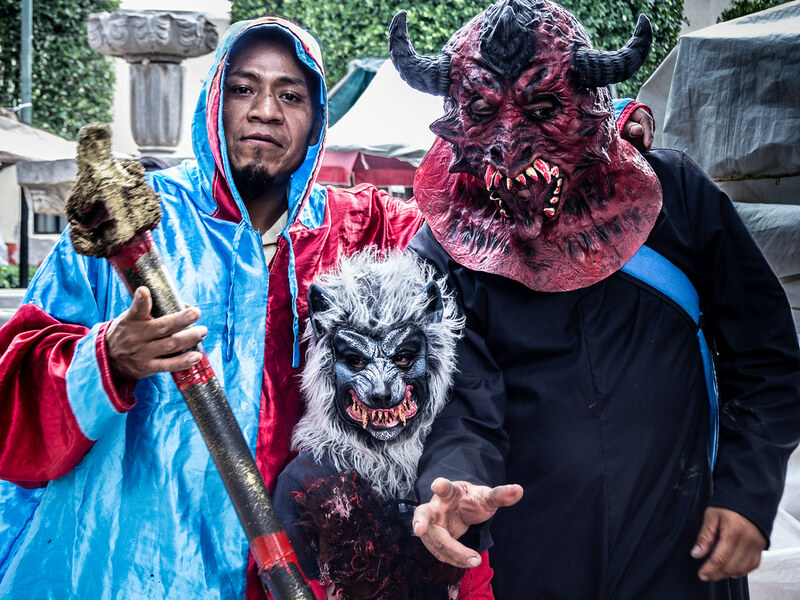 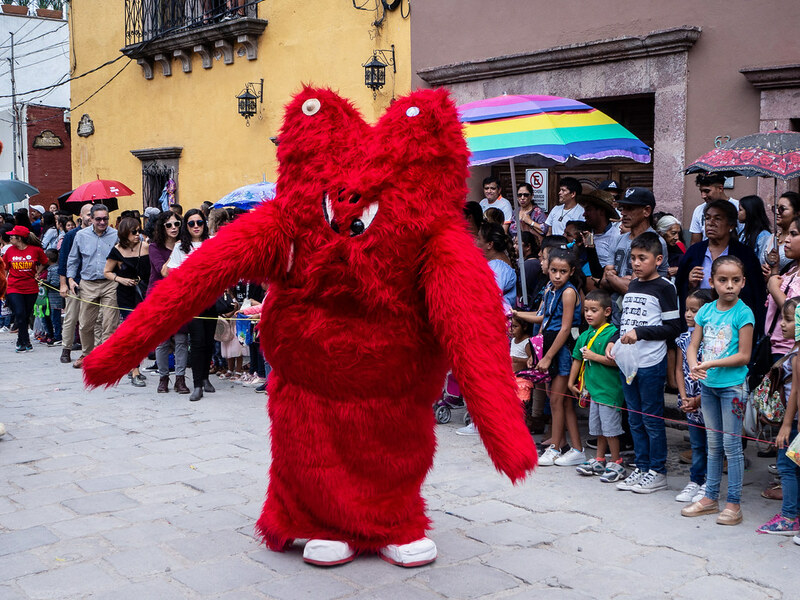 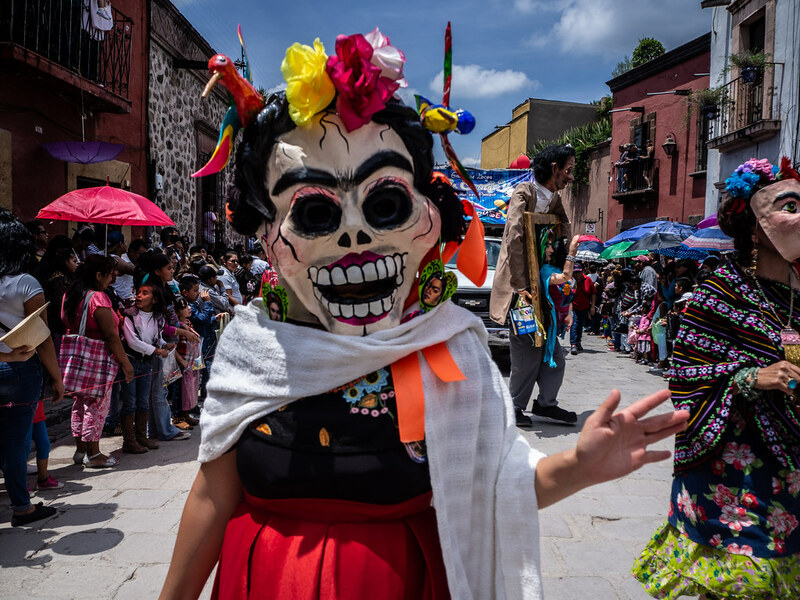 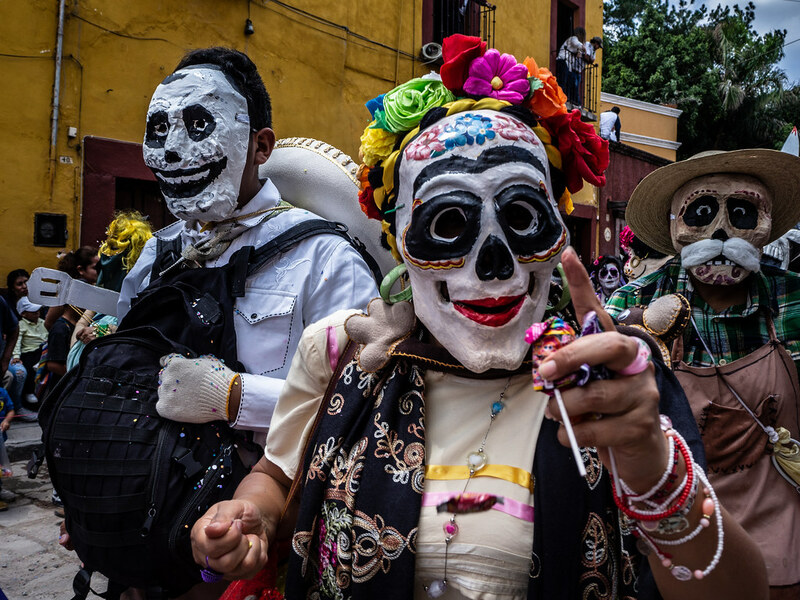 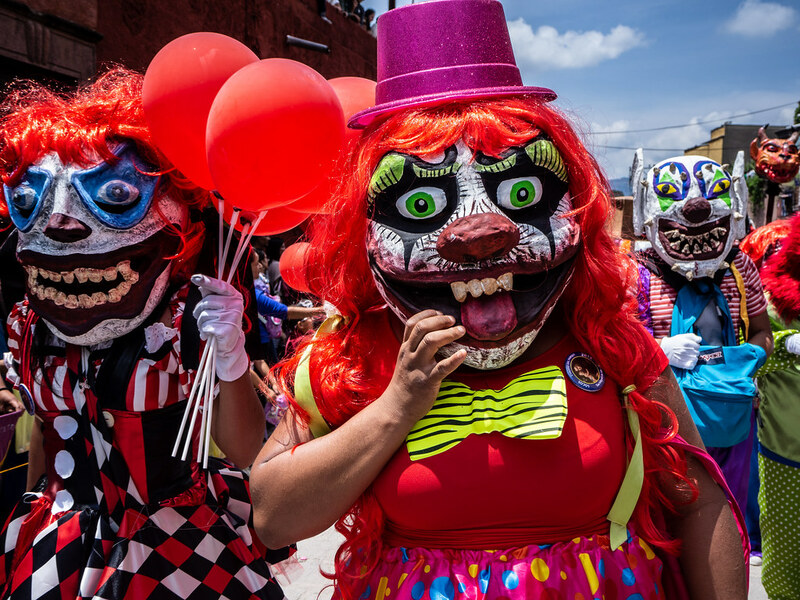 San Miguel hosts a hugely fun annual parade called Desfile de los Locos, where everyone dresses up as a crazy person (usually in a hand-made costume and often featuring a papier-maché head) and parades down the street hurling candies at the audience. 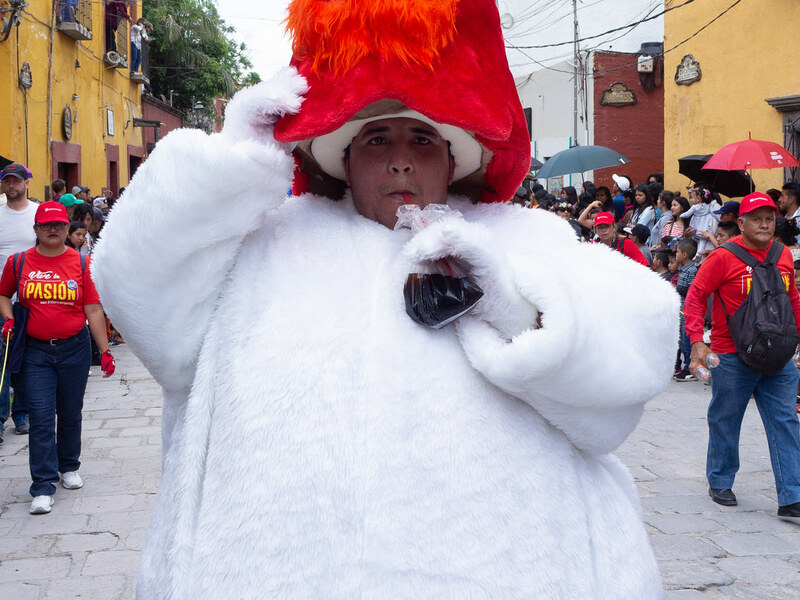 The air is full of children screaming ¡DULCES! 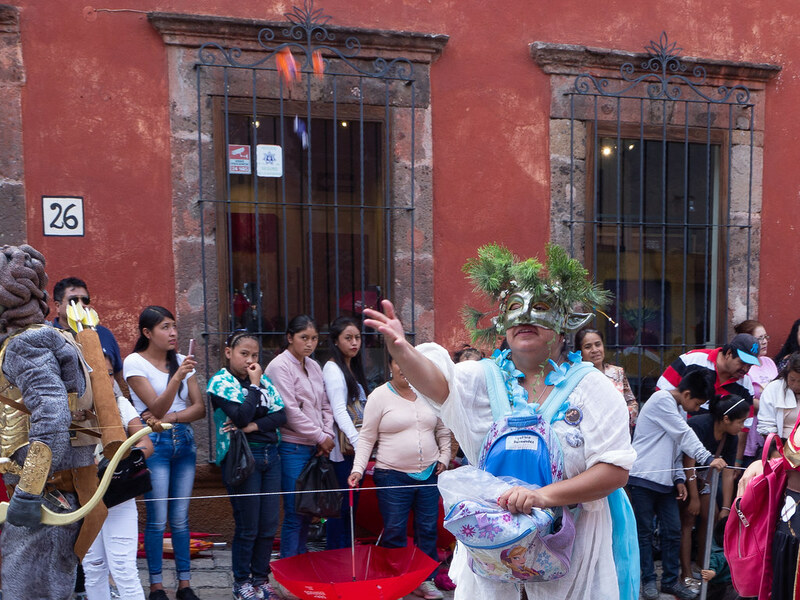 and up-turned umbrellas positioned to catch the sweets, then there's a mad scramble to pick them up before everyone else. 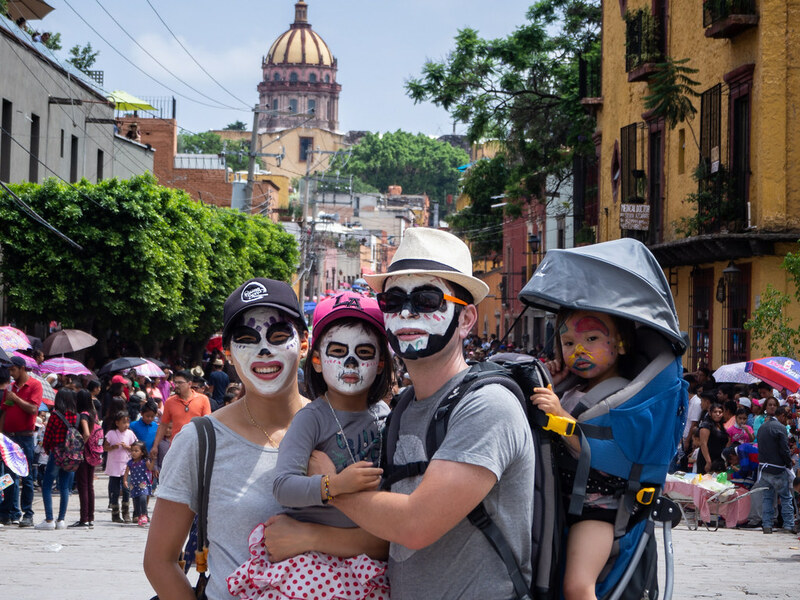 Glo made us all up as skeletons from Coco, with Clementine as Dante the dog.